Pilates is an Awesome Workout For Anyone! I Did it, You Can Too! It’s meet the Mentor Friday! Today’s guest is Patricia Welter, Director and Owner of Suncoast Pilates Studio in Palm Harbor, FL. She’s passionate about teaching Pilates and improving the health of so many people through movement. First question you want to know is, what is Pilates? Pilates is a series of full body exercises that can be performed in home, office or a Pilates studio. Anyone of any age can do Pilates. It was created by German born Joseph Pilates in the early 1900’s, Joe used his Mat work during WWI for men, while he was in an internment camp in England, to keep his fellow internment buddies healthy and fit. 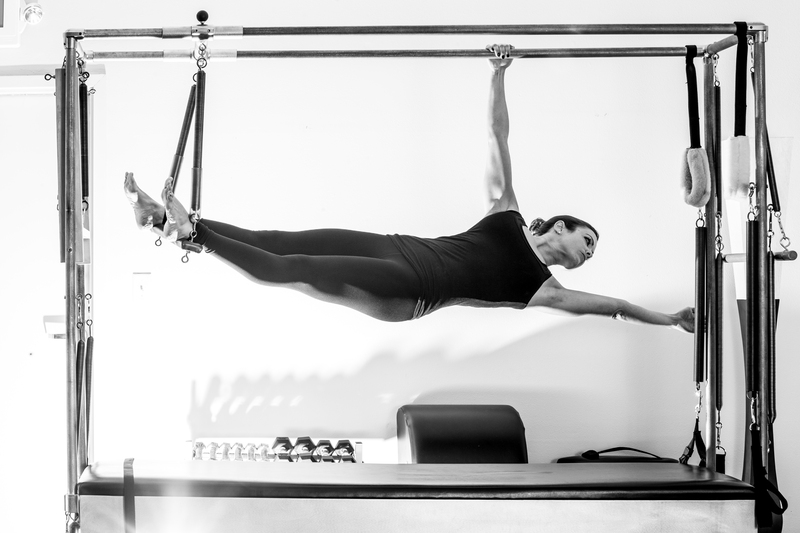 Pilates has grown into a global, proven exercise regimen. Joe created his exercise protocol as an entire system, developing and patenting equipment he created and in conjunction with his Mat work. Today, Pilates is highly adaptable and all parts of the body get a whole body workout each time. How does your Pilates Studio – Suncoast Pilates operate? Suncoast Pilates offers both individual and group sessions. A workout can be customized to work around any physical limitation, and all physical issues can be addressed. It doesn’t matter how old you are, what body type you have or how much you weigh. Anyone can do Pilates! Suncoast Pilates also offer workshops using Balanced Body equipment, the leading Pilates equipment manufacturer and educator in the world. An Introductory Session is the best way to start. The initial Introductory Session is discounted so you can really get in and try the equipment. Suncoast Pilates can build a program specifically for you. All sessions can be scheduled by appointment. Live in the Tampa Bay Florida area? Call Suncoast Pilates & Tell Patricia you listen to Weight Loss Nation! You will receive one complimentary Pilates session! Try it! I’m certain you’ll enjoy it. Listen to the episode to find out how Patricia got into Pilates and how it changed her life. If you are enjoying Weight Loss Nation, give us a Rating & Review! When you take the time to give us a R&R, it helps keeps Weight Loss Nation visible for other healthy living wannabe’s to find us!